Stephen Baskerville is Professor of Government at Patrick Henry College and Research Fellow at the Howard Center for Family, Religion, and Society, the Independent Institute, and the Inter-American Institute. He holds a PhD from the London School of Economics and has taught political science and international affairs at Howard University, Palacky University in the Czech Republic, and most recently as a visiting Fulbright scholar at the Russian National University for the Humanities. More recently, he has turned his full attention to the politics of the family in global perspective, and his most recenty book is Taken Into Custody: The War against Fathers, Marriage, and the Family (Cumberland House, 2007). John Derbyshire is a mathematician and cultural commentator. He is the author of several other books including Prime Obsession: Bernhard Riemann and the Greatest Unsolved Problem in Mathematics (2003). He writes for VDare.com and TakiMag.com. Michael Hart is the author of three books on history, various scientific papers, and controversial articles on various other subjects. His best known book is The 100: A Ranking of the Most Influential Persons in History. His most recent book is The Newon Awards: A History of Genius in Science and Technology , published this year by Washington Summit Publishers. 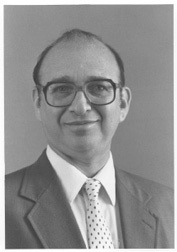 Carl F. Horowitz is affiliated with the National Legal and Policy Center, a nonprofit organization dedicated to promoting ethics and accountability in public life. He holds a Ph.D. in urban planning, and specializes in labor, immigration and housing policy issues. Previously, he had been Washington correspondent with Investor's Business Daily, housing and urban affairs policy analyst with The Heritage Foundation, and assistant professor of urban and regional planning at Virginia Polytechnic Institute. Jim Kalb is a lawyer (J.D., Yale Law School) and author, The Tyranny of Liberalism: Understanding and Overcoming Administered Freedom, Inquisatorial Tolerance, and Equality by Command (2008). His latest book is Against Inclusiveness: How the Diversity Regime Is Flattening America and the West and What to Do about It . Tito Perdue is the author of several works of fiction. He has been dubbed "one of the most important contemporary Southern writers" by the New York Press, and his iconic character Lee Pefley has been called "a reactionary snob" by Publisher's Weekly. Keith Preston is the chief editor of AttacktheSystem.com. He was awarded the 2008 Chris R. Tame Memorial Prize by the United Kingdom's Libertarian Alliance for his essay, "Free Enterprise: The Antidote to Corporate Plutocracy." William Regnery is the founder of the Charles Martel society, publisher of The Occidental Quarterly and a past chairman of the National Policy Institute, which he co-founded with Sam Francis. Byron Roth is Professor Emeritus of Psychology, Dowling College and is author, most recently, of The Perils of Diversity: Immigration and Human Nature. 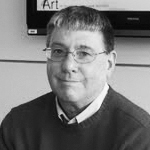 His work has appeared in The Journal of Conflict Resolution, The Public Interest, Academic Questions, and Encounter. His books include, Decision Making: Its Logic and Practice, co-authored with John D. Mullen and Prescription for Failure: Race Relations in the Age of Social Science. 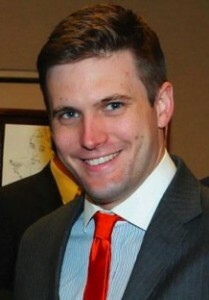 Richard Spencer is a former assistant editor at The American Conservative and Executive Editor at Taki's Magazine (takimag.com); he was the founder and Editor of AlternativeRight.com (2010-2012). Currently, he is President and Director of the National Policy Institute and Washington Summit Publishing and Editor of Radix Journal.